V-Mount to Gold Mount Adapter for Select Sony Camcorders is rated 5.0 out of 5 by 6. Rated 5 out of 5 by Webb Pickersgill from XDCam F330 - Perfect Fit I purchased this item so that I could use my Anton Bauer bricks with the Sony XDCam F330 camera which comes with a V-Mount. The small set-screw keeps it from accidentally disengaging. Also, be sure to follow the instructions and use one of the small black plastic spacers between the plate and the body in order to make sure the set-screw keeps it tight to the body. Rated 5 out of 5 by ontravel from Perfect Solution If you're a fan of Anton Bauer batteries, but love Sony cameras, this is the perfect solution. This Gold Mount plate slips right into the V wedge and your done. No additional wiring or screwing needed. Rated 5 out of 5 by Miguel from Great quality product This item solved my problem b/c all my batteries are anton bauer and my camera is a sony dsr-390. Also it holds my Lectrosonics wireless (with the side plate). Rated 5 out of 5 by The Old Centerfielder from Not rocket science. It works. We're using it to pair up cameras with a Sony HD transmitter. It does what it's supposed to do. Rated 5 out of 5 by suncom from Great simple adapter for Anton Bauer. It is what it is but works great! Second one I purchased and have had no issues. 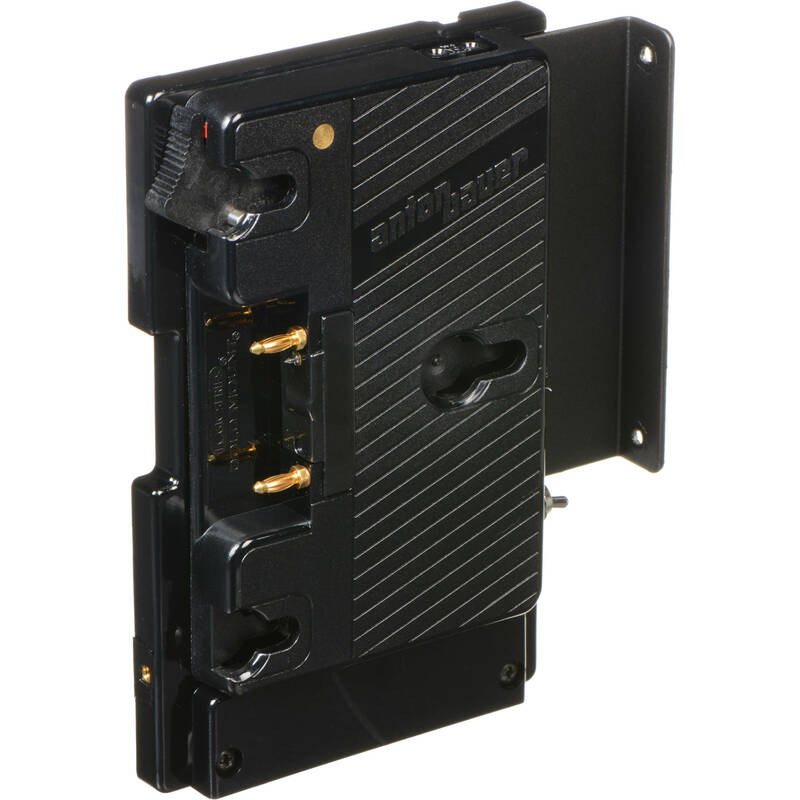 Rated 5 out of 5 by BVD from Anton Bauer is the professional standard Converting Sony camera V mount for Anton Bauer Gold Mount Products. Will this work with my Sony FS7 Extension unit? I have been using this plate for 3 years now on the back of the XDCA extension unit on an FS7 without issue. As the staff provided answer states, the support brackets included with the plate do not line up with any screw holes on the XDCA as they would have with the old DSR cameras. But if you are comfortable with the V mount as the only support it is not an issue. You get the added bonus of having the option to mount a wireless plate to the adapter and have any number of items off of the side. I have had wireless audio hops, wireless video transmitters and lock it strapped on without any problems. You also get a P tap power outlet and a switch for the old power on while recording option. It even passes the data from the battery (percentage or voltage display has depended on what type of battery was on the camera). The only time the plate has come loose was when something pressed on the V mount release in the camera bag. It was as simple as popping it back on. The Anton Bauer quality is also great, beating out the other offshore options out there.